Hiris: from the flower to the fragrance, the modern and refined mindset of a unique soliflore, all devoted to the splendor of the iris. 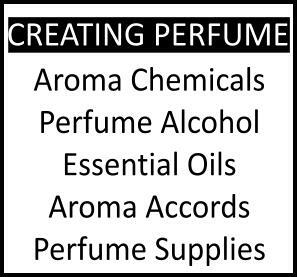 A perfume of emotion and subtlety conceived by perfumer Olivia de Giacobetti in 1999, it expresses its charm with an infinite delicacy; sometimes floral, sometimes powdery or plant-like, always one of the olfactory wonders of nature. 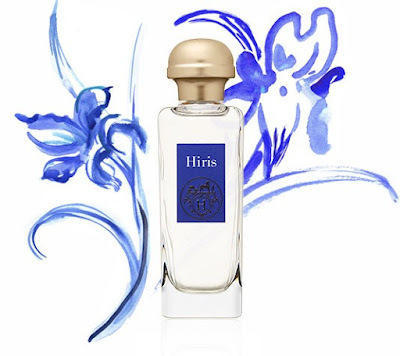 The quintessential dry powder scent, Hiris by Hermès is the yardstick against which orris scents can be measured in a sweetness to dryness climax; this one is set on ultra-dry. For sheer uniqueness it could only be compared to the cold melancholia of Iris Silver Mist by Serge Lutens, but it's less gloomy, less sombre, warming a bit through the skin-like ambrette seed. It's for INFP types for sure. And it falls naturally into the pattern set out by Hermès, a house that caters to an effortless sensibility of quiet sensuousness, of subtle sexiness, of refined intellectuality. A precious keepsake. NB. The older bottles are in blue frosted glass packaged in an orange carton. The newer ones are in a transparent glass bottle with gold cap and a blue label, packaged in an orange and blue carton. i tend to like iris scents, if they are dry and contemplative. 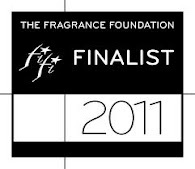 but then, i am an INFP... when i teach yoga, i wear a touch of "infusion d'iris" (prada); it has a calm feel to it. like a bouquet of iris offered in a tiny country church where hardly anyone comes anymore... i wonder how this "hiris" would feel? I have had Hiris since it debuted and it was the first iris fragrance I ever purchased. I still have a couple of frosted blue back-up bottles because I was afraid it could be discontinued. I still love it!